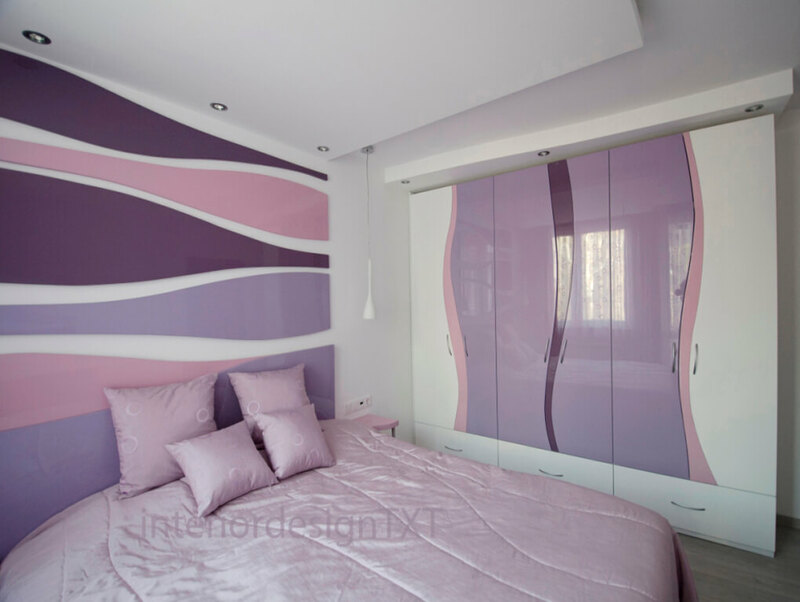 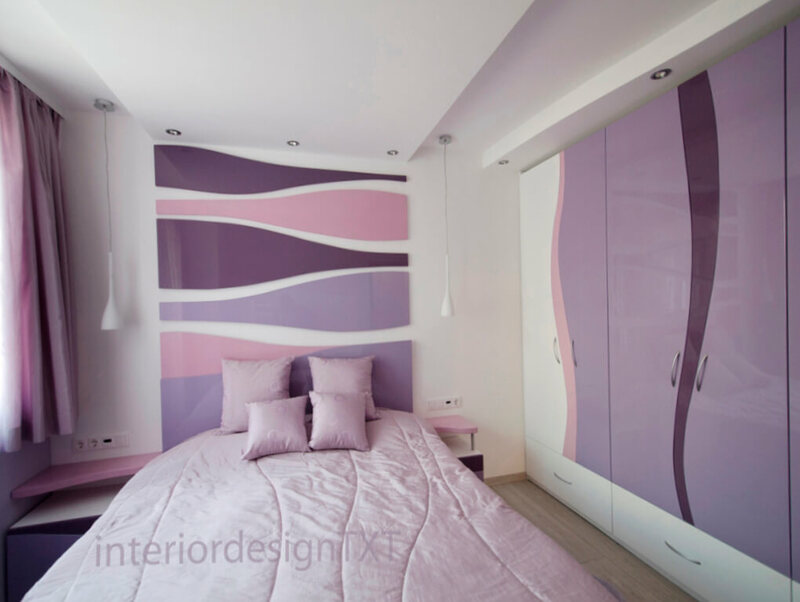 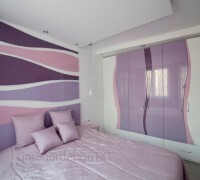 The design of this bedroom is based on a pastel pink-purple colours and soft wavy lines within the furniture. 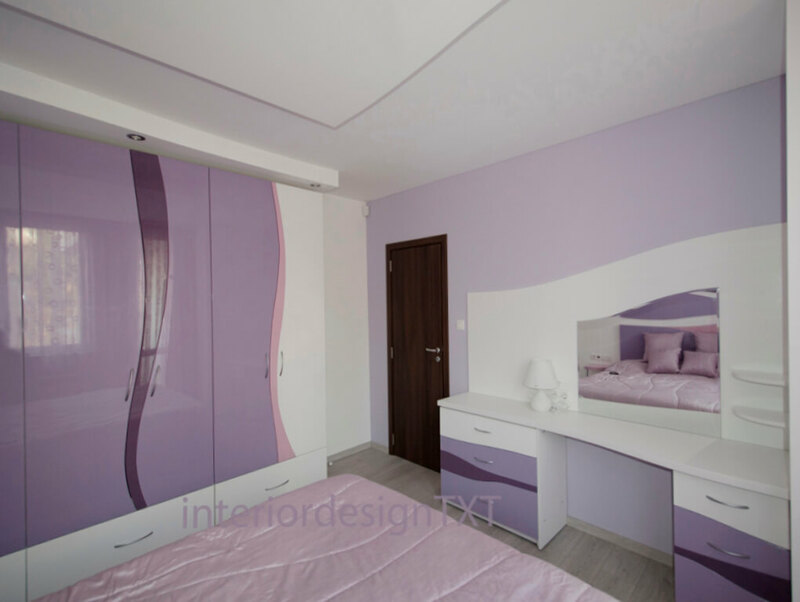 In this interior we combined different gloss and mat surfaces and various materials. 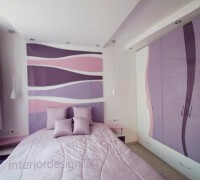 The bed cover is custom made with seams in wavy lines to correspond to the other forms within the interior.